Located in the heart of Baltimore’s historic Canton District is one of the city’s most unique—and environmentally preferable—renovation projects, Brewer’s Hill. The 735,000 square foot facility once housed two famous breweries. Today it is a multi-use building with offices, shops, and plans for a major restaurant on taps. It is also one of the first projects to apply for Maryland’s Green Building Tax Credit. One technology involved the roof—a modular Green roof manufactured by GreenGrid®. With a modular system, plant and growth media are pre-planted in modules of 60% recycled plastic. The modules are installed on the existing roof, one after another, significantly streamlining the installation process. 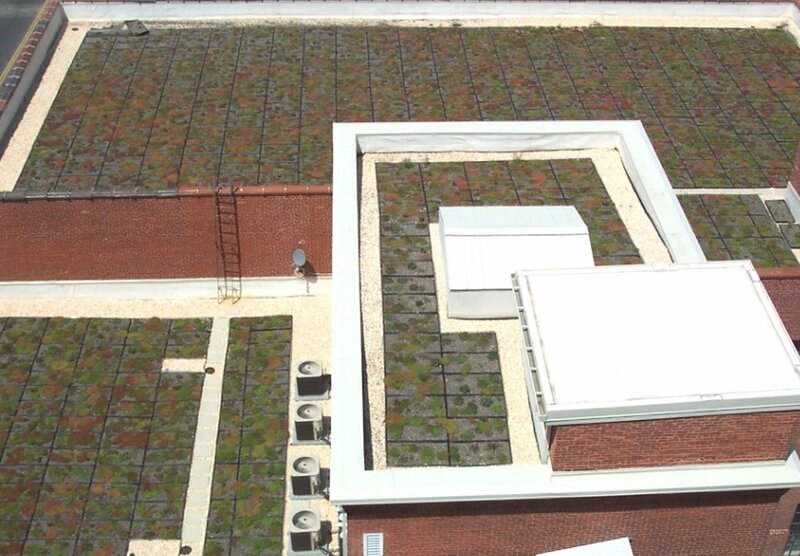 The Green roof helps insulate the building, reduces the “heat island” effect, improves storm water management, and filters storm water, which reduces the flow of contaminants into the Chesapeake Bay. With a conventional, built-in-place Green roof (built directly on the existing roof), hired workers must dig up then re-install the Green roof for roof installations and repairs. However, with the modular system, the modules just need to be picked up and replaced when service is complete. No special workers are needed. 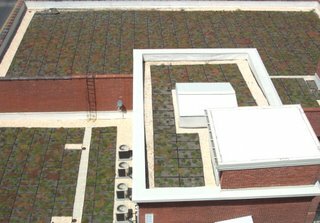 GreenGrid® Green Roof System is a business of Weston Solutions, Inc—an environmental and redevelopment firm delivering comprehensive solutions to complex problems for industry and government worldwide.